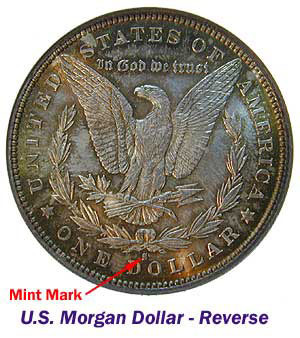 Mint marks are letters that identify where a coin was made. 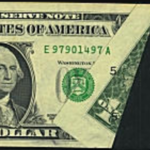 The letter can appear anywhere in the design but usually is placed near the date or in an area near the edge of the coin. 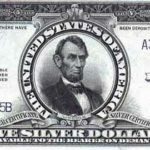 The combination of the date and the mint mark or lack of one can have great importance to a coin’s value. For example, over 72 million cents were manufactured in Philadelphia with the 1909 date and there are many survivors. 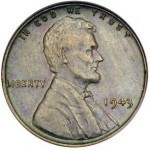 This coin is only worth about $1 in average condition. 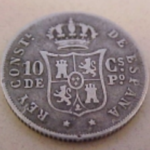 The “S” or San Francisco 1909 cent was minted in much smaller numbers, less than two million were struck. In average condition it’s worth over $60. Another example is the 1882 Double Eagle. 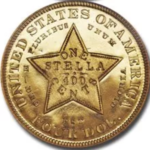 The Philadelphia issue with no mint mark is worth almost $10,000 in average condition, but the “S” mint San Francisco issue is worth little more than its gold value, about $1100, in average grade. West Point, New York “W” – 1984 to present.